Ms. Erwin joined the firm in April 2013. 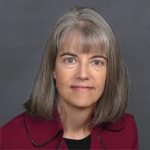 Her practice includes utility regulatory and business matters, employment and labor issues and general litigation. She has a unique understanding of Alaska utility and local government operations, as she has held senior in-house counsel and executive human resource positions with an Anchorage-based telecommunications company as well as the Municipality of Anchorage. Prior to joining the firm, she directed the human resources operations for ENSTAR Natural Gas Company. Ms. Erwin has substantial experience in state regulatory practice. She represented four affiliated local phone companies and a long distance company in numerous matters before the Regulatory Commission of Alaska (RCA), including multi-company rate cases, depreciation proceedings, formal complaints, access charge proceedings and other adjudicatory matters. She directed the successful Alaska Supreme Court appeal for the incumbent local telephone companies in contesting the RCA's termination of the their respective rural exemptions, which were reversed and remanded. Ms. Erwin also successfully secured, as a matter of first impression before the RCA, the termination of rate case proceedings for a local phone company in markets that had been opened to local competition. She also has significant experience in counseling employers and handling their employment and labor issues. She has litigated in front of administrative agencies, in federal and state courts, and in arbitrations and other hearings on a wide range of employment matters. These include claims regarding age, race and disability discrimination, wrongful termination and discipline, family and medical leave, overtime pay, sexual harassment and contract grievances. Ms. Erwin is a Senior Professional in Human Resources (SPHR) and has conducted numerous employment-related investigations, led collective bargaining negotiations, implemented standard and executive compensation and performance review plans, and overseen company health plans and human resources compliance programs. Ms. Erwin received her Bachelors of Business Administration degree from Gonzaga University in 1987. She earned her law degree from the University of Washington in 1993, where she served as Comments Editor of the Pacific Rim Law & Policy Journal.